What Are the Best Concealed Carry Options for Women? Over the last 20 years or so, more and more women across the United States are purchasing, carrying, and in times of need, using firearms. Despite a tirade of negative press, it’s clear to all that a securely concealed weapon is the ideal form of self-defence while going about one’s daily business and travelling through America’s streets. Some have the misconception that gun culture is a boys club. Nothing could be further from the truth. Guns aren’t just for hunting, shooting ranges, and social media pictures. 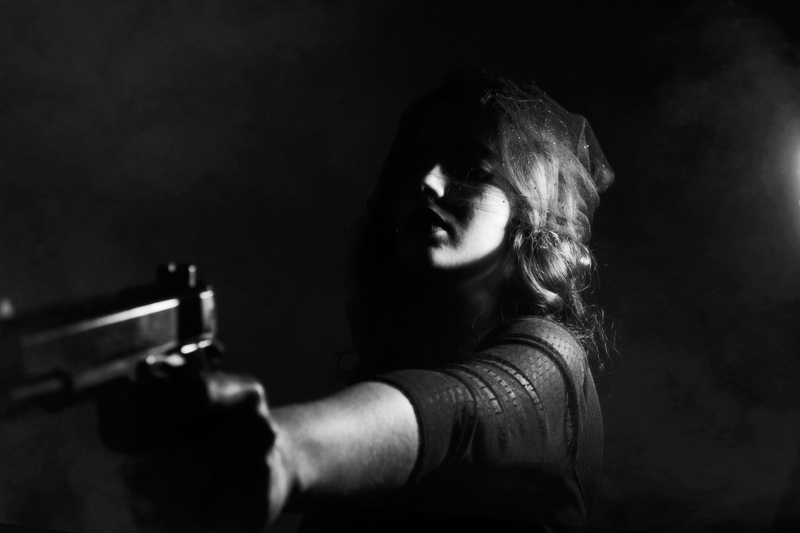 Rather, guns are a vital form of self-protection, and women, in particular, are all too aware of the ever-present dangers that people face on a daily basis. Why do women choose to conceal carry? 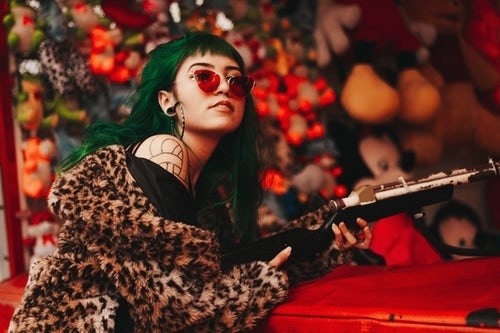 According to a recent Pew Research Center survey, women are more likely to regard guns as a means of protection, rather than for sport, fashion, or any other reason. Many modern women live alone or with female roommates, and with rising female employment rates, women often find themselves travelling alone on public transport late at night. Unfortunately, such women are a prime target for would-be criminals and carrying a gun (with the proper training) can transform women from easy prey to defended and prepared targets. Just recently, on November 3rd 2018, a mother-of-three defended her home from an intruder with her firearm. Too many women are dissuaded from concealed carry because they mistakenly believe that they will have to invest in a whole new wardrobe. Truthfully, when it comes to concealed carry, things are a little more difficult for women. Typically, women’s clothing is more form-fitting and revealing, which makes it tougher to avoid ‘printing’ a firearm. (Printing, in this context, means that the outline of the gun is visible through one’s clothing. In some US States, this can cause legal issues). Therefore, when it comes to concealment holsters, women have to spend more time considering appropriate options and choosing gun holsters that are suitable for their clothing style. However, there are many different options available for women which don’t involve buying new clothes or adjusting your style. 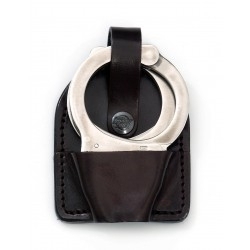 An ankle holster can easily be worn by women who wear jeans, floor-length dresses, or pants. Designed to fit snugly against the skin, ankle holsters can easily conceal even larger weapons, ankle holsters can also store additional magazines. In addition, premium ankle holsters have thumb breaks and retaining straps, to ensure maximum security and convenient access. 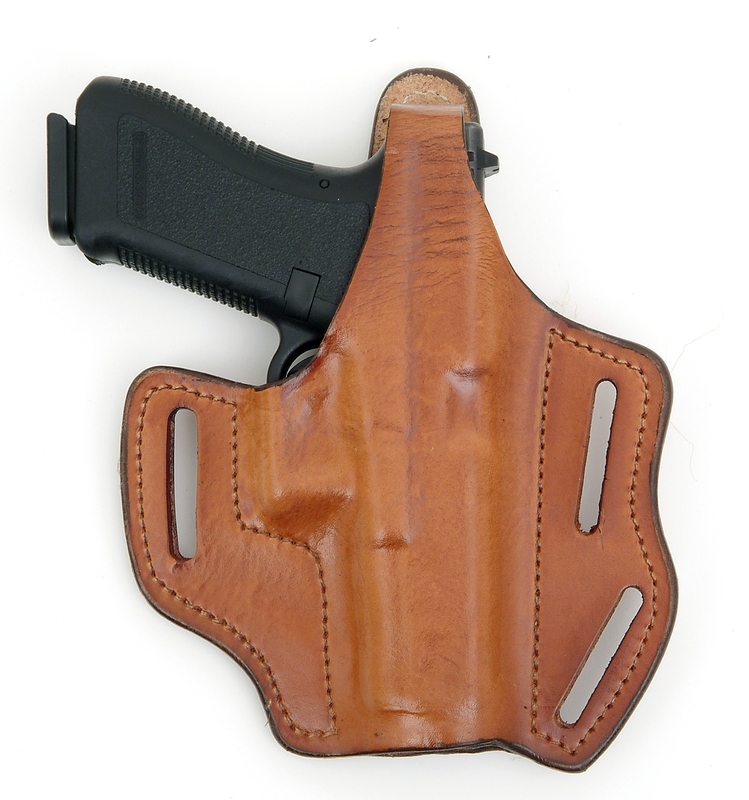 An IWB (inside waistband) holster can be worn comfortably, even with tight-fitting pants or jeans. 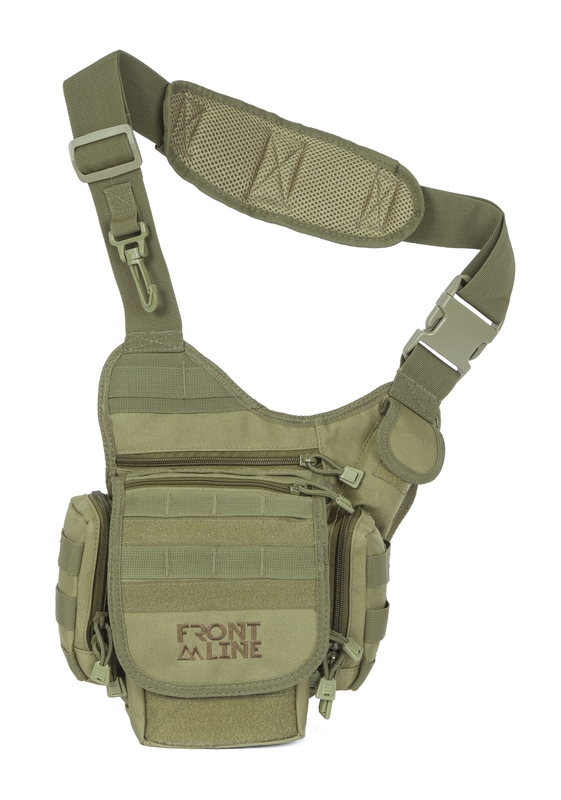 Front Line's range of IWB holsters provides comfort, total concealment, and fast draw times. Perhaps not the first thing that comes to mind when considering concealed carry options for women, but, for winter & jacket seasons, shoulder holsters can be a great option. If it’s cold out and you’re planning on wearing a thick coat or parka, a shoulder holster offers total concealment, fast draw times, and comfort. 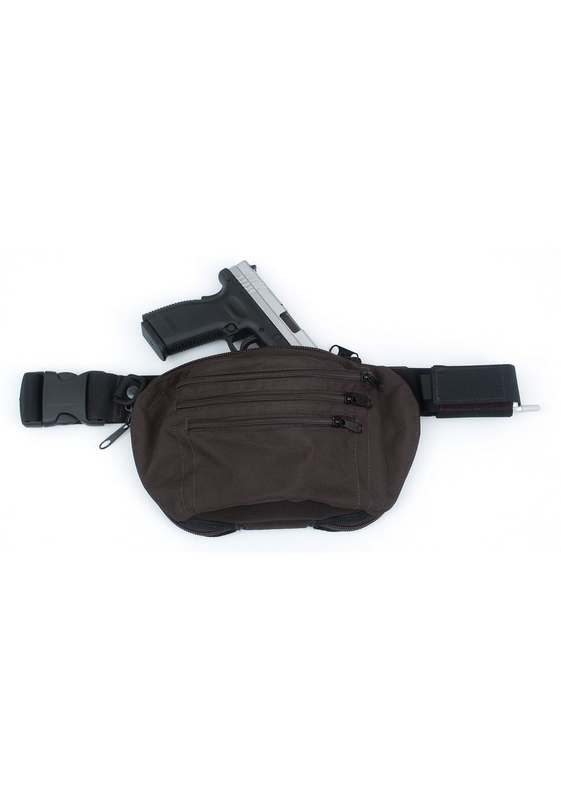 Perhaps the most comfortable way to conceal carry, a gun bag provides total, deep concealment, and allows you to dress however you please. In addition, gun bags also offer instant access and super-fast draw times in case of trouble. The only possible downside is that for heavier guns, it may get a little tiring. 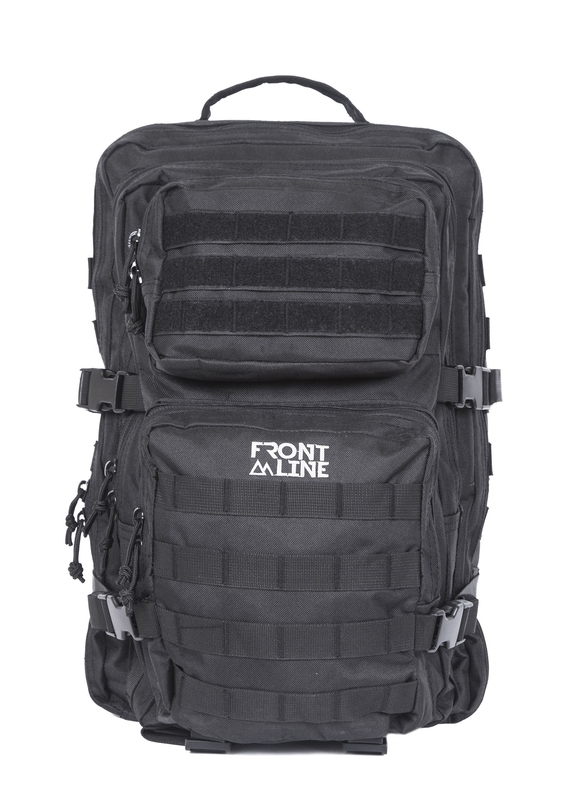 However, Front Line’s range of superior gun bags offers comfortable support throughout the day with secure shoulder straps and a handle. Note: Remember! When using a gun bag or purse for concealed carry, never let it out of your control or sight! Even on a hot summer day, there are great options for women who want to concealed carry. Fancy wearing shorts, but still, want to be protected? Just wear a long shirt or t-shirt that extends below the waist and attach a Universal Belt Holster to your hip. Now you can combine comfort and fashion with self-protection.